Join us for a three-day intensive to get started knitting a sweater using Julie Wiesenberg's unique cocoknits sweater technique. The Cocoknits Method uses top-down knitting that incorporates increases at specific intervals to create truly 3 dimensional shaping that doesn’t require seaming when you’re done. The neck, shoulders, and yoke are created together, so the shaping is softly sloped to hug the body in a flattering way, rather than squared pieces sewn together which turns out too boxy. Choose your yarn and start swatching! Your swatch should be washed and blocked before class and your needle size determined. Show up, and we'll help you get started! A truly new and innovating method to shape necks and shoulders in sweaters for amazing fit, everytime. 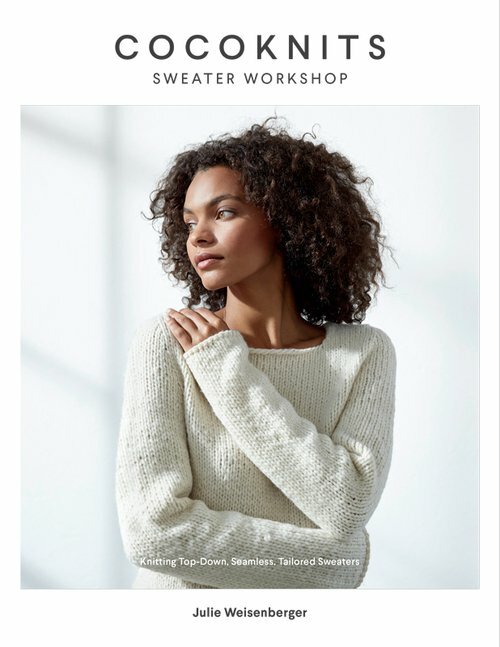 The cocoknits sweater workshop journal, included FREE with your class signup ($15 value)!